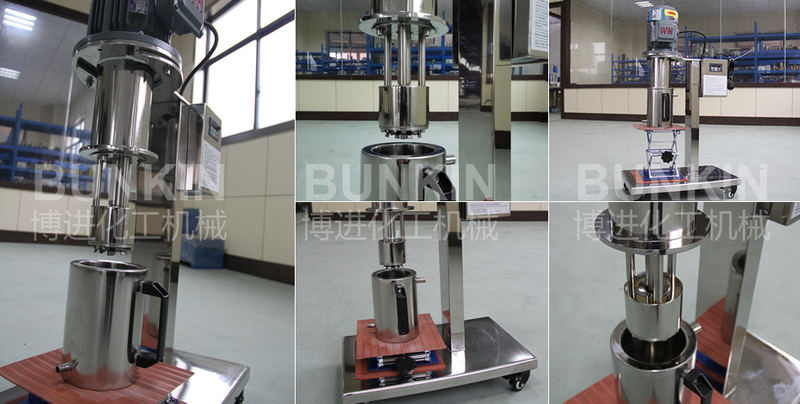 Lab Basket Mill( Manual lifting)_Anhui Bunkin Chemical Machinery Co.,LTD. Lab Manual lift Basket Mill integrates dispersion and grinding into one machine. It's suitable for small batch materials grinding and milling. 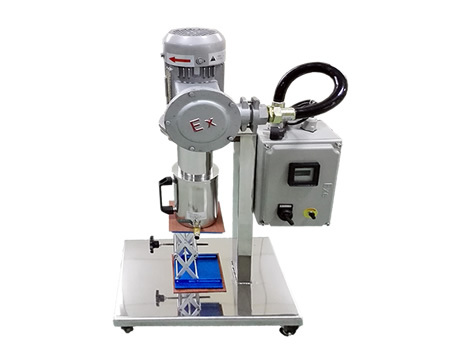 Applications Fields: Suitable for grinding, milling materials in industries such as biology, pharmacy, food, paint, ink, adhesives, pigment, fertilizer etc. Applied materials: Materials shall be with viscosity less than 5000cps, with comparatively high requirements of final grinding result such as emulsion paint, industrial paint, color paste, water-borne ink, fertilizer suspension etc.